The Pacific View Mall hosts gourmet food trucks every 3rd Friday of the month in the parking lot next to Trader Joe's, along Mills Road. Hours are 5-9pm and event features over 20 food trucks, like Cousins Maine Lobster, The Underground Gourmet Food Truck, The Grilled Cheese Truck, Sweet Arleen's, Steamy Bun Truck, etc. For the specific gourmet truck lineup, visit www.shoppacificview.com. Also live entertainment! The Ventura County Certified Farmers’ Market Association has cancelled the relocation of the Thousand Oaks Certified Farmers’ Market to the West Side of The Oaks Shopping Center after fire department officials deemed that the site did not meet the current safety standards for emergencies and traffic control. Although the grand opening did take place last Thursday on March 21, officials determined after an on-site visit that the new location would not meet safety requirements. “Even though we were looking forward to this new site, we absolutely want the market to be safe and accessible,” stated Karen Schott, Operations Manager for the Ventura County Certified Farmers’ Market Association (VCCFMA). “We thank everyone who supported our “dress rehearsal” and we will continue to operate every Thursday bringing the best of California agriculture while we regroup,” she continued. “The new market hours of 12 noon to 5 p.m. did work out well and we will keep these hours when we move back to our previous location,” added Schott. According to officials of the VCCFMA and The Oaks Shopping Center, the market will return to its former site and construction will be delayed until a new farmers’ market site can be determined on the mall grounds later in the year. The Thousand Oaks Certified Market is returning to its former site in the East End Parking Lot at Wilbur Road starting on Thursday, March 28, 2019 and will be operating with its new hours of 12 noon to 5 p.m.
For more information, call 805-529-6266, or visit the website at www.vccfarmersmarkets.com. Amelia S once again tipped us off of a new eatery in town (she certainly has an eye for them); this one is Ameci Pizza Kitchen coming soon to the Westlake Village Marketplace at 5776 Lindero Canyon Road, Westlake Village. A signature item at The Pizza Cookery are their Garlic Rolls! MMmm! After 45 years in business in Woodland Hills, The Original Pizza Cookery announced via Facebook today that its lease has not been renewed and that it will be relocating to Thousand Oaks! Yes, you heard that right! Their target date is June 1st. Location: 75 W. Thousand Oaks Boulevard, Thousand Oaks, at the Best Western Plus Thousand Oaks Inn, in the former Camboni Restaurant that closed last October. This is terrible news for Woodland Hills but great news for residents of the Conejo Valley! The former owners of Sesame Inn in Newbury Park (which is under new ownership and is still open), have opened a new eatery, Seven Spice Kitchen, at 2454 W Hillcrest Dr. #102, Newbury Park. Seven Spice Kitchen offers authentic Chinese cuisine like Sesame Chicken, Seven Spice Fish, Beef with Jalapeños, and so on as well as special entrees, including Chinese Burger and Liangpi Zi (steamed cold noodles with spicy sauce ). 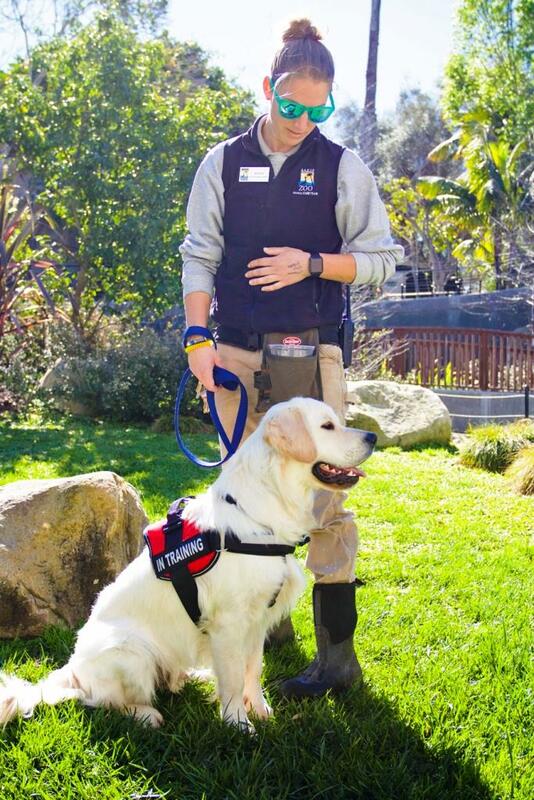 Bradley, the Santa Barbara Zoo’s first Ambassador Dog. 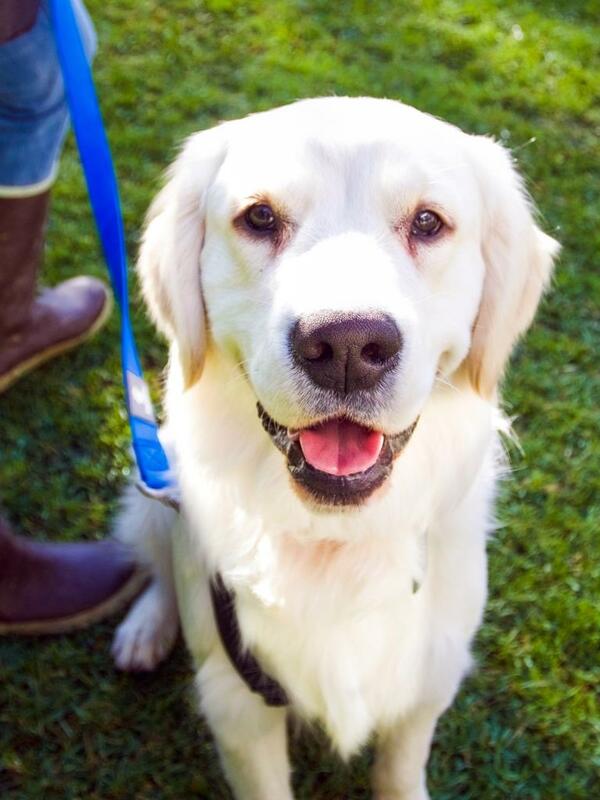 The Santa Barbara Zoo announced today that its latest addition is a ten-month old Golden Retriever named Bradley, who is in training to be the Zoo’s first Ambassador Dog. Dr. Barnes reports that Bradley is still young, so the training is takes place at his pace and is going quite well. If it goes as hoped, Bradley will eventually participate in keeper talks on subjects like responsible pet choices and animal training using positive reinforcement. He may be involved in education programs such as Zoo Camp. He might provide outreach to local schools, retirement homes, hospitals, and elsewhere. As with the Zoo’s other animal residents, Bradley is trained using positive reinforcement, meaning he is rewarded for good behaviors and following instructions, and ignored or redirected for negative behaviors. The Zoo has retained a professional dog trainer who works with Bradley most days and is training specific staff to work with him as well. Bradley is an English Cream Golden Retriever who was born on May 12, 2018. The “English Cream” refers to the light color of his fur. His original family lived in Northridge and had him as a young puppy. A family member’s unexpected medical development made it impossible for them to care for a puppy. The Zoo adopted him when he was nine months old. Bradley lives at the Zoo. It is hoped that he will eventually make visits to local schools, retirement homes, hospitals, and community events, but that depends on his training. His sleeping area is in a heated office. The Zoo’s security guard checks on him several times during the night and gives Bradley toilet breaks. Bradley has a fenced exercise and play area on Cabrillo Lawn, across from Cats of Africa. There he is allowed to run free and play, and have play dates with specially selected dogs. During breaks from training, Bradley also has “Sniff Time” while on the leash, when he is allowed to follow his nose and explore the Zoo. Ambassador dogs are not uncommon in zoos accredited by the Association of Zoos & Aquariums (AZA). The Oklahoma Zoo debuted canine animal ambassador Max, a two-year-old terrier mix, in summer 2018. Other zoos with ambassador dogs include the Denver Zoo, Point Defiance Zoo & Aquarium (Tacoma, Washington) and Rosamond Gifford Zoo (Syracuse New York). While dogs are sometimes used as companion animals for specific species, Bradley does not go into any animal enclosures. The Santa Barbara Zoo provided dog companions for African lion cub Kiki when she was being hand-raised in 2004. The San Diego Zoo, Indianapolis Zoo, and Metro Richmond Zoo, among others, have had companion dogs for cheetah cubs. The Zoo is open daily from 10 a.m. – 5 p.m.; general admission $18 for adults, $13 for seniors 64+, $11 for children 2-12, and free for children under 2. Parking is $11. The “coming soon” sign is up for the new Jack in the Box that is being constructed at The Village at Newbury Park, northwest corner of Academy Drive and Grande Vista Drive.. Job openings are posted at nowhiring.com/bromley. The Jack in the Box will be located directly across the parking lot from LA Fitness. Other businesses as we know include Lowe’s as well as Farmer Boys (quick serve eatery) and Autozone.